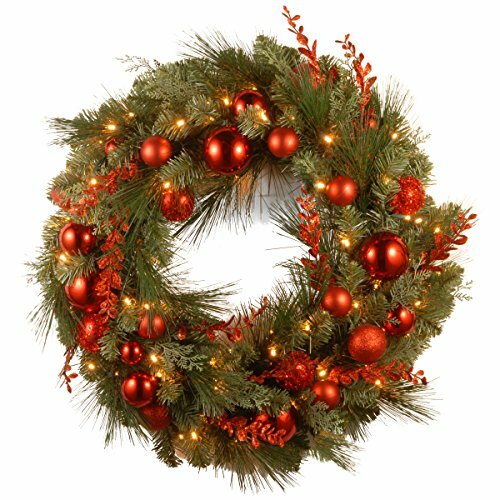 24" diameter wreath is pre-strung with 50 UL listed warm white LED lights. Trimmed with red and green leaf sprigs and matte and shiny red ball ornaments. Battery operated with 6 hours ON/18 hours OFF timer. 88 branch tips. Indoor or covered outdoor use. LED lights are energy-efficient and long lasting. Fire-resistant and non-allergenic.